If your first thought is that pet care will be too much of a burden for your senior, do not be so hasty to act on that first impulse. Why? 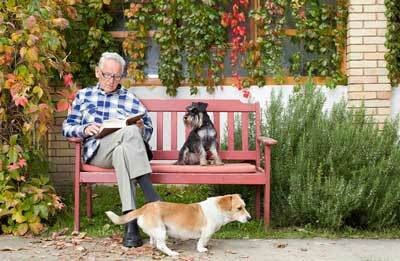 Simply put, research has shown that pet ownership can improve your senior's life considerably. In one NIH study, researchers found that having a pet improves cardiovascular health. The study followed 421 adults who had suffered from a heart attack. One year later, the scientists found, dog owners were significantly more likely to still be alive than were those who did not own dogs, regardless of the severity of the heart attack. For those with some cognitive impairment, interaction with pets may be just what the doctor ordered. Pets are accepting of non-verbal communication and studies have shown that, in some instances, interacting with animals may be more beneficial than spending time with other people. 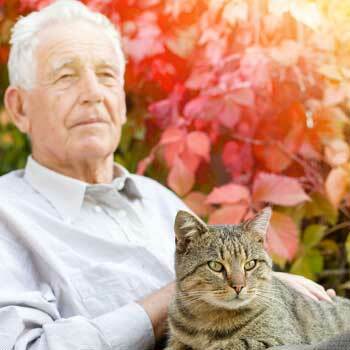 Additionally, pets can help orient a senior as to time and place by providing a certain amount of structure to the day. For some seniors, the fact that Fido needs to be fed at a certain time or taken for a walk may provide the encouragement needed for the senior to adhere to a routine as well. Simply holding and petting an animal can be a stress reliever for some. This is true regardless of whether the animal is owned by the care recipient or is a therapy animal trained to provide support to a senior. However, in cases where the senior already has a bond with a beloved animal, it is generally a good idea to allow that pet to remain a part of your senior's life for as long as it is safe for both the senior and the pet. 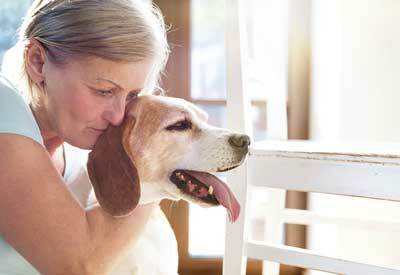 Grief over separation from a favorite pet can be quite severe for a senior. USNews.com makes an interesting observation regarding the benefits of pet ownership, noting: "At the end of the day, having a pet means that you have made a promise to continue being involved in another life. This commitment is one of the most positive decisions you can make as you grow older." Choosing home health care for your senior enables him or her to stay in the comfort of home where he or she can enjoy familiar surroundings and maintain care of a pet. Though there are some assisted living communities that allow pets, in many cases helping a senior and his or her pet to stay at home is a more convenient, practical option. If you would like to discuss your loved one's particular situation, contact us today. We stand ready to help you provide an excellent level of care for your senior in the comfort and convenience of his or her home.